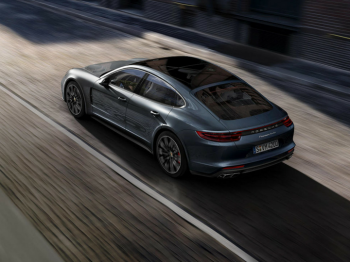 The 2018 Panamera is a thing of rare beauty and endless capability. It’s a plug-in hybrid. We all remember how hybrids were once pegged as weaker than their gas-guzzling counterparts, right? 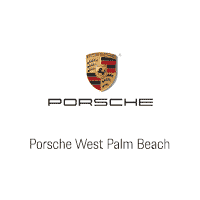 Yeah, about that…the Porsche Panamera boasts two engines delivering a combined 680 hp. This isn’t your father’s hybrid. That’s split into a twin-turbo 4.0 liter V-8 at 550 hp and an electric motor at 136 hp. It blazes up to 192 mph – and make sure you’re strapped in. It’ll take you from a complete stop to 60 mph in only 3.2 seconds. At the same time, the 2018 Panamera maintains the strengths we already know hybrids offer. You can drive it for up to 30 miles without using any gas whatsoever. Driving to work? Running an errand? Stay environmentally friendly. If you want to open it up or you’re on a longer trip? Buckle up. Unless you have the family along and you’re prioritizing safety. In that case, the 2018 Panamera comfortably seats five and it’s built with ease of control and safety in mind. The cargo space is ample for camping or vacationing. There’s a particular focus on the adjustable suspension and extra roll control which means you can take corners without feeling disrupted. There’s great feedback on rough roads and the control in rain is stellar. The Porsche Panamera’s interior is just as exquisite as the exterior. It’s a car that impresses from the outside and relaxes from the inside. Control up the console is sensible and centralized, offering options without ever feeling overwhelming. We’re thankful for a nice big central touch-screen that smartly stays just below where we need to look while handling traffic. There’s a good handle on balancing comfortable driving with exciting control here. We can’t think of a car we’d rather have that’s perfect for both a long, relaxed road trip and for aggressive sport driving. The 2018 Panamera wins – and it’s not even close.